We know how busy we all get during the week! We got a ton of requests for the dog play park to be open during the week so that you 9-5ers have a place to run your dog INDOORS and FENCED in after work! We’ve done it! 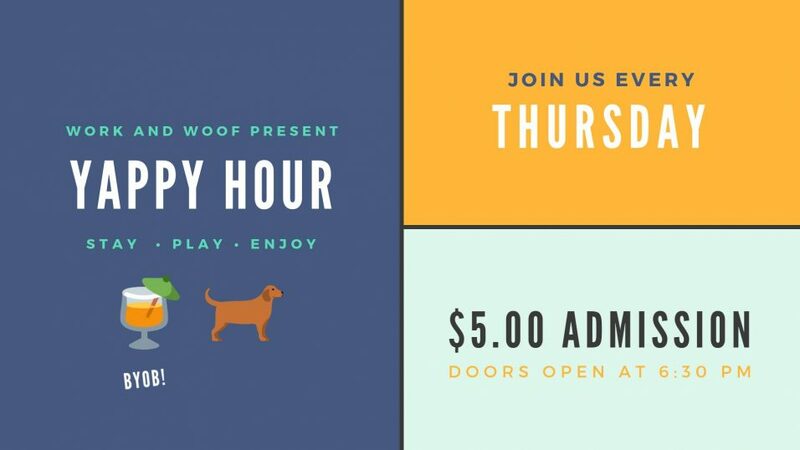 Starting every Thursday join us from 6:30pm to 8:00pm for Yappy Hour! Same rules apply (6+ months old, spayed/neutered, up to date on shots) but it’s only $5! We are BYOB! Tell your friends, Austin you now have a clean, indoor place to drink and run your dog after work!